This time it’s billing itself as “A human-powered search platform” with Organic search results instead of Paid listings. If like me, you’ve been optimizing websites for what seems like a century, you’re likely to remember when GoTo (before rebranding as Overture) ruled the Pay-Per-Click Search Engine universe. It was a true pioneer. Being the first of its kind made it very appealing to other Dot Com companies like Yahoo, who bought it up for its technology and patents, then quickly rolled it into the Yahoo brand as Yahoo Search Marketing. Well it’s back as announced on its Facebook page. Internet search touches every aspect of our lives, but we at GoTo feel it’s time somebody approached the search field with a more human touch. Algorithm-based results only go so far. 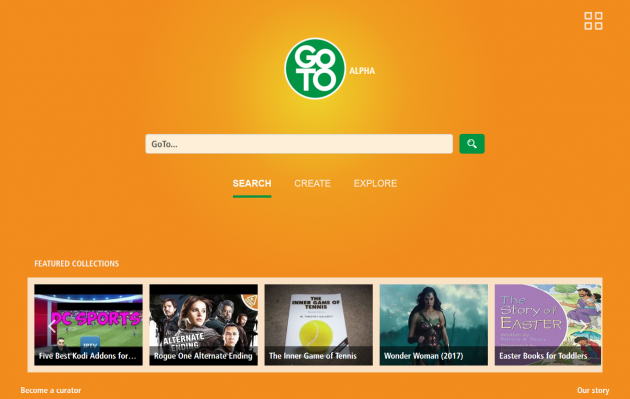 GoTo delivers human-powered search results that reflect multiple perspectives and expertise on any topic. We layer these results on top of conventional search results to provide a better search experience. The Search Engine Results Page (SERP) is fairly clean and straight-forward. The SERPs contain your typical Website Listings, Images, Videos and any available Collections (more on those below). 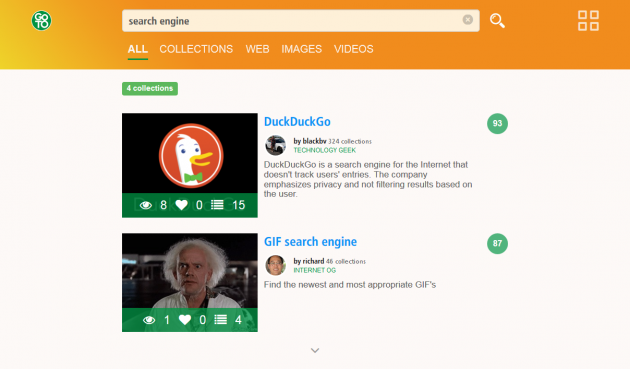 Something that is fairly unique is that GoTo lets you become a curator and publish and share your own Collections that will then show up in search results. A Collection is a curated set of items (links, images, videos, products, or text) on any subject that sparks your interest. You can answer a how-to question, provide travel tips, share an experience, offer an opinion, or just centralize useful bookmarks. You can make your collections public, private or unlisted. Here are the social profiles that I could find connected to GoTo. They seem to be the most active on Facebook. Will GoTo make headway towards reclaiming some of its former glory as a top player in search?